Melbourne, Australia: In the last week we have seen the NSW Government make further moves towards adoption as a preferred option for all children in out-of-home care, despite the opposition and concerns of the leading child advocacy bodies in the state.  We all share responsibilities to ensure the right of every Aboriginal and Torres Strait Islander child to be safe and thrive in family, community and culture. We hold the safety of our children to be our number one priority. They are the future of our communities. They are our future leaders, educators, nurturers and healers. When a child is harmed, or at risk of harm, and in need of care, their protection is our absolute priority. When a child must be removed to guarantee their safety, the decisions made must consider connection to kin, culture and country as vital parts of a child’s stability, wellbeing and development. Adoption is a permanent measure, and a drastic measure. It takes several options off the table, many of which are better aligned with the best interests of the child. Adoption provides no ongoing support to carers to ensure they can provide a safe and stable home and breaks children’s connections to kin, culture and country – the very things that ground them. Through adoption, governments are outsourcing their responsibility to keep kids safe to carers and putting our children at further risk. A child cannot grow up to be the best they can be if they don’t know who they are or where they belong. Aboriginal and Torres Strait Islander children have been removed and disconnected from their families at horrendous rates for generations, and we continue to see the impacts of this lifelong, intergenerational trauma today. We cannot allow more children, and future generations, to be subjected to this same traumatic disconnection. Adoption that severs cultural connection will never be an acceptable or appropriate solution for Aboriginal and Torres Strait Islander children. Not now. Not ever.